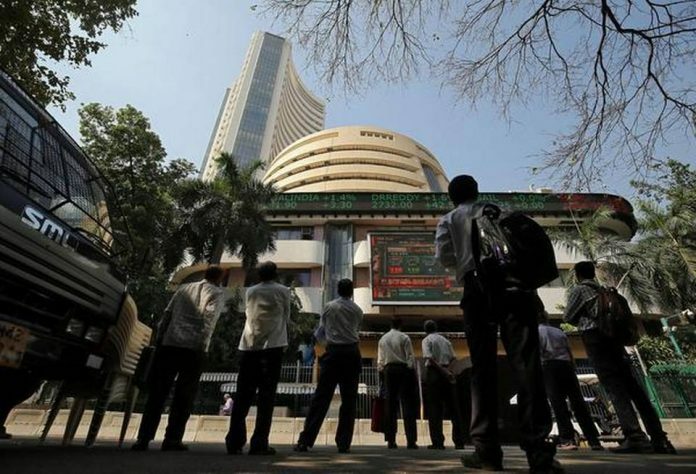 Benchmark indices opened on a choppy note on Friday on negative global cues amid fears of a potential US government shutdown and rising tension between the US and China. After falling over 100 points in opening session, the 30-share Sensex was trading 14.82 points, or 0.04 per cent, higher at 36,416.85. The index had finished 52.66 points, or 0.14 per cent, lower at 36,431.67 Thursday. The NSE Nifty, too, was trading 2.25 points, or 0.02 per cent, lower at 10,949.45. Domestic and other Asian stocks followed Wall Street that fell sharply after US President Donald Trump’s demand for border wall funds pushed the federal government closer to a shutdown. The White House said Trump will not travel to Florida Friday for the Christmas holiday if the government is shutting down. More than 8,00,000 federal workers will be facing furloughs or forced to work without pay if a resolution is not reached before funding expires at midnight Friday. Meanwhile, China accused the US of fabricating facts after the US Justice Department indicted two hackers tied to Chinese security services who allegedly targeted companies and agencies in a dozen countries, adding fuel to the rift between the two countries, experts said. Top losers include Infosys, Asian Paints, HDFC, TCS, PowerGrid, Bajaj Auto and Hero MotoCorp, shedding up to 2 per cent. While the gainers include Airtel, M&M, Tata Motors, Tata Steel, Adani Ports and Vedanta, rising up to 2 per cent. The rupee, meanwhile, weakened against the US dollar, and was trading at 70.05 a dollar. Brent crude, the international benchmark, was trading 1.07 per cent higher at USD 54.93 per barrel. On a net basis, foreign portfolio investors (FPIs) sold shares worth Rs 386.44 crore Thursday, and domestic institutional investors (DIIs) were net buyers to the tune of Rs 87.96 crore, provisional data available with BSE showed. Elsewhere in Asia, Hong Kong’s Hang Seng was down 0.15 per cent, Japan’s Nikkei fell 1 per cent and Shanghai Composite Index edged lower by 1.01 per cent in early trade. On Wall Street, the US Dow Jones Industrial Average ended 464.06 points, or 1.99 per cent, lower at 22,859.60 Thursday.